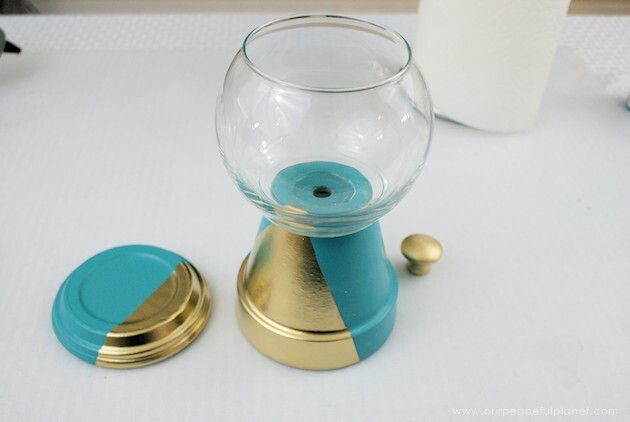 This beautiful gold & teal version of the classic DIY gumball machine would look gorgeous anywhere in your home! 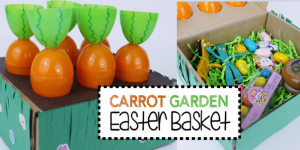 It’s made from an inexpensive clay pot & a glass bowl and is super easy to make. 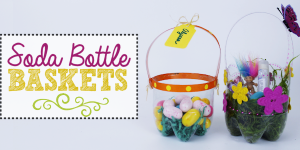 We used ours for candy treats. 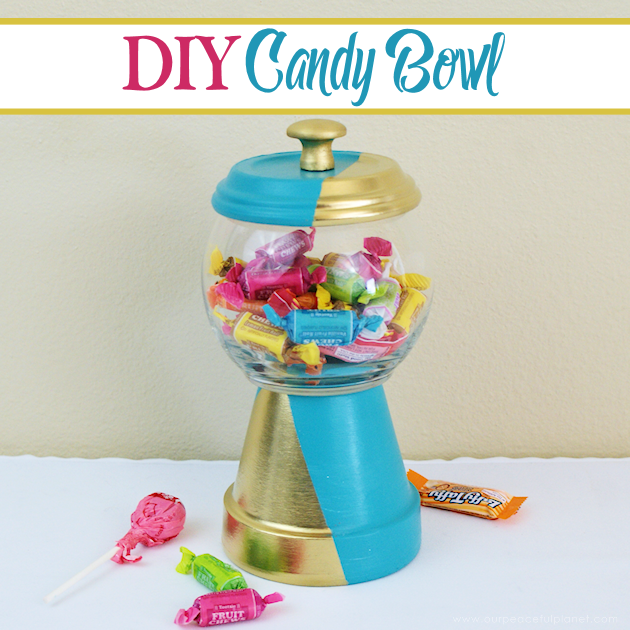 If you like clay pot crafts, you’ve got to check out our Lovely Little DIY Sugar Bowl, our Elegant DIY Clay Pot Sugar Dispenser and our Simple Small DIY Cake Stand With A Variety of Uses. Round glass bowl. 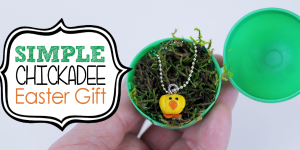 (Dollar Store or Walmart in the craft section.) 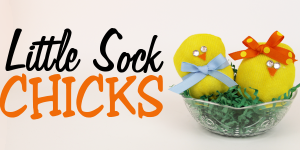 For our pot it was 3.5″ tall with a 3″ opening. 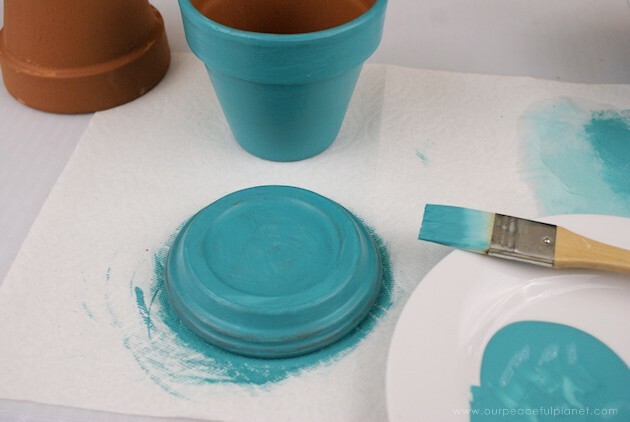 Begin by painting the clay pot in the color of your choice. Turn the clay plate upside down and paint the base. 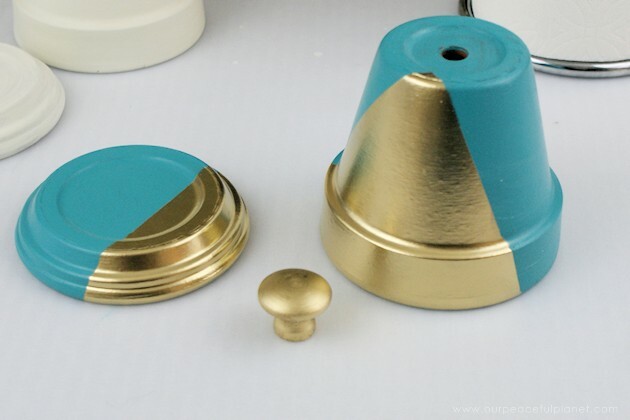 Be sure to paint beneath the rounded edge as this may show when in use. 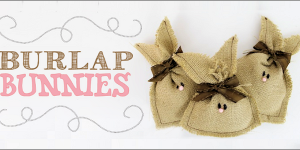 Once dry, mark off your design with masking tape. 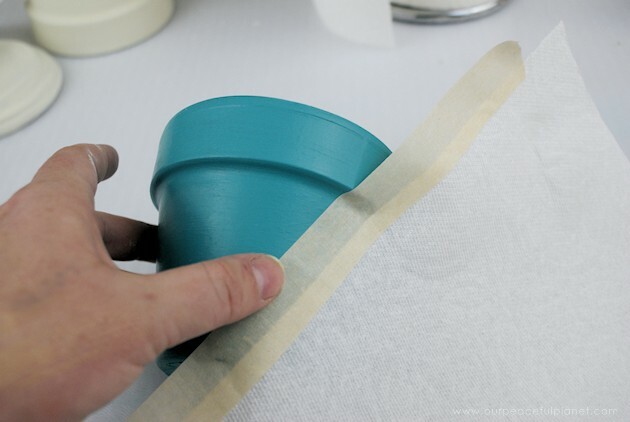 TIP: we place the tape along the edge of a paper towel to create quick and easy protection for the rest of the project while spray painting. 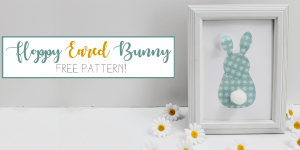 For our geometric design, create two tape lines, leaving a triangle exposed. 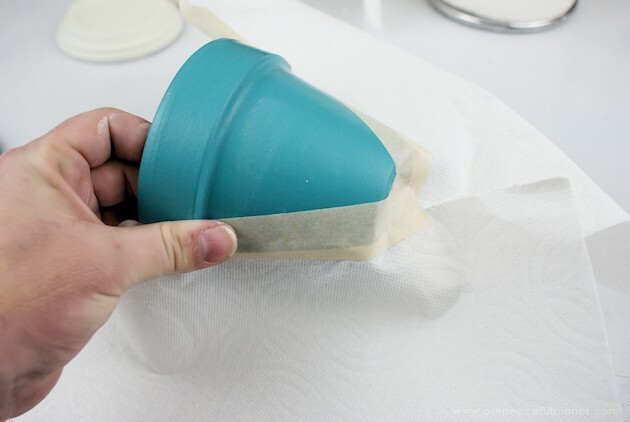 Wrap a paper towel around all surfaces besides the triangle to prevent over-spray. 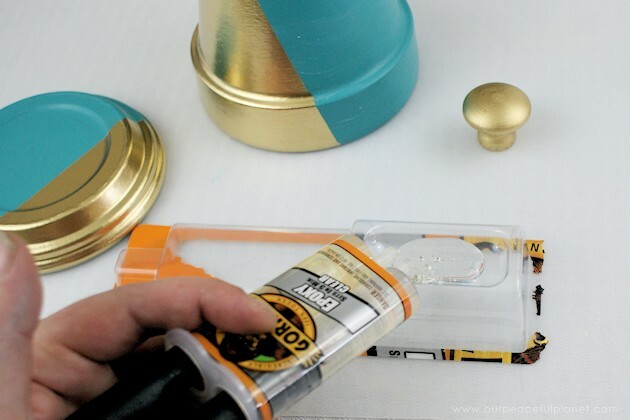 Place masking tape along the plate about 1/2″ off from the center. Be sure to fit it into the grooves as you go. 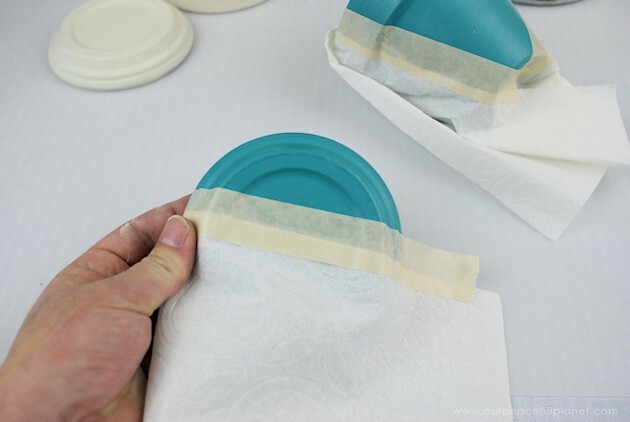 Cover the remaining portion of the plate with a paper towel. 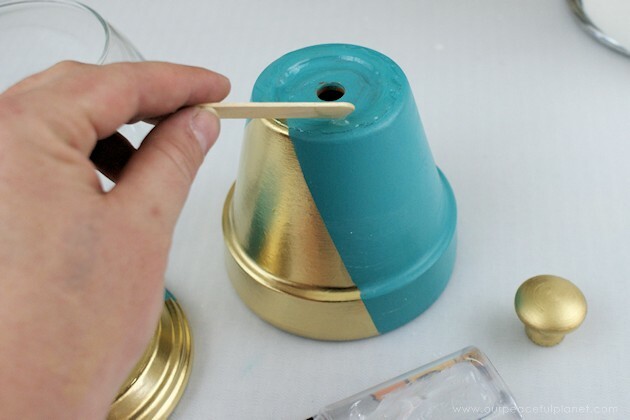 Spray paint the visible areas of the pot and plate with the color of your choice. 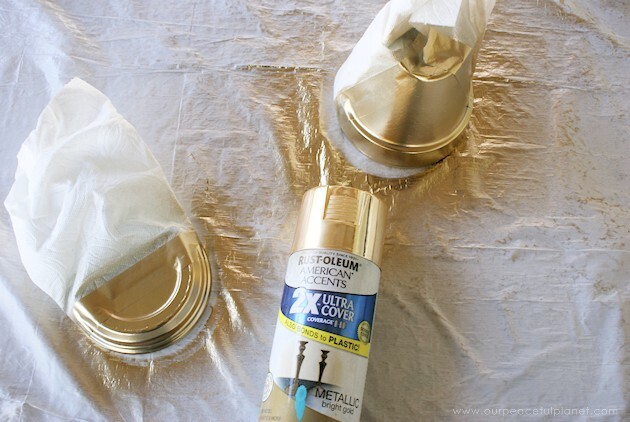 We opted for a metallic gold. 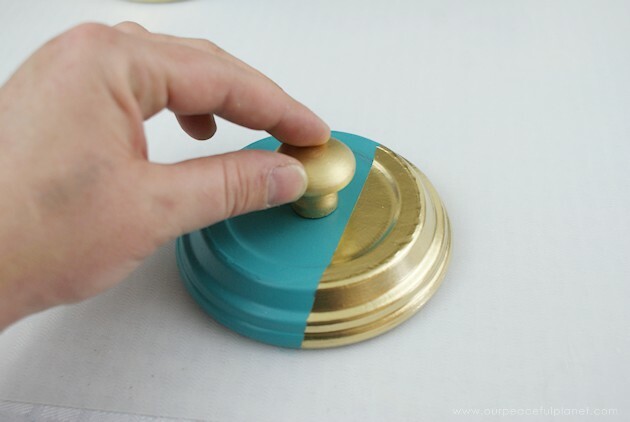 If you are using a wooden knob, be sure to paint it as well. 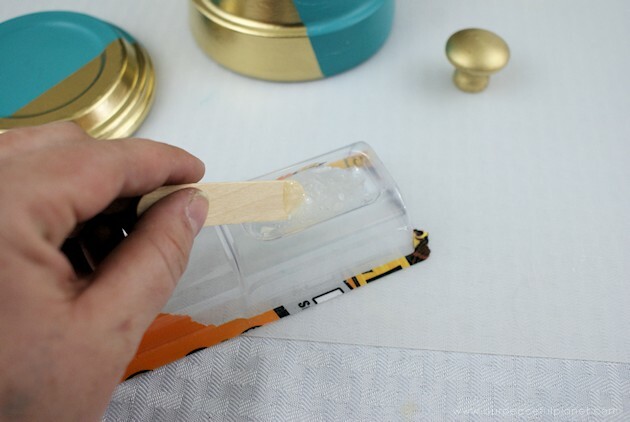 Once dry, squeeze a small amount of the epoxy into the mixing tray. Mix well, using the provided stick or a craft stick. 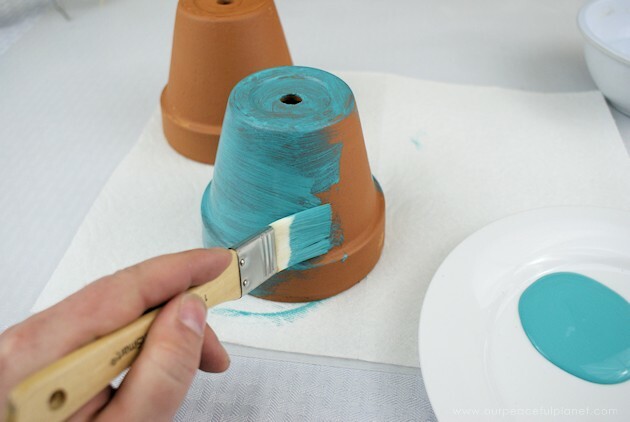 Turn the clay pot upside down and apply a ring of epoxy around the bottom. 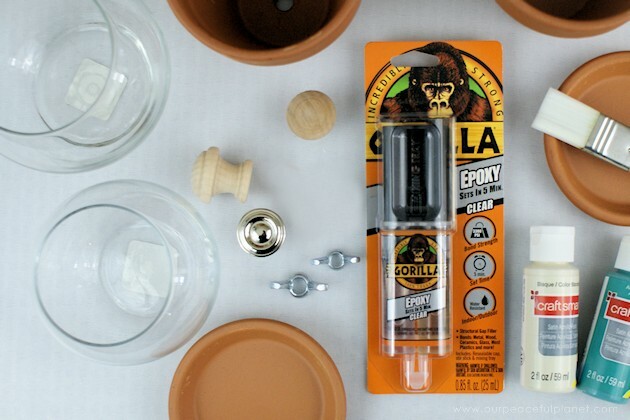 Place the glass bowl on top of the epoxy and center. 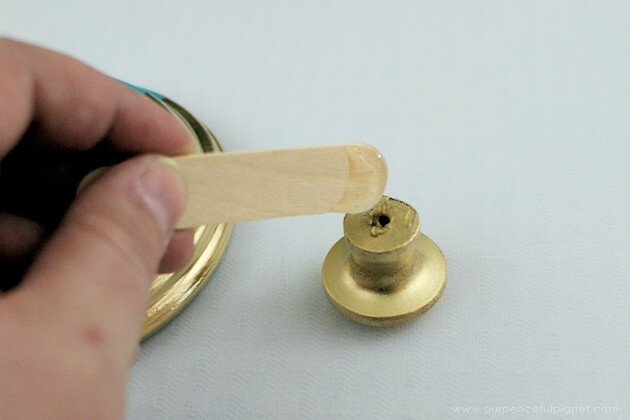 Apply a small amount of epoxy to the bottom of the knob. Place in the center of the clay plate on the painted side. Let epoxy dry overnight. 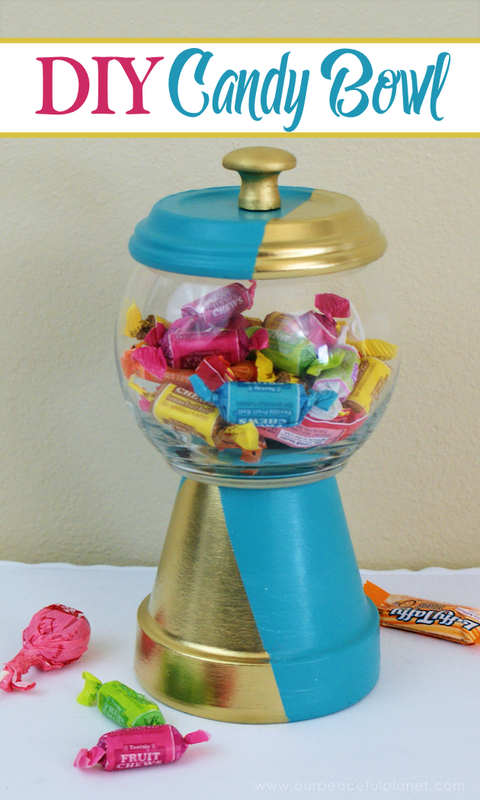 Once dry, place the small plate on top of the glass dish to create a lid and you’ll have an adorable candy dish!